Art Print: "Watch this Doris!" Mr Ernest Hemingway Mustard is cartwheeling down the hill again and again! 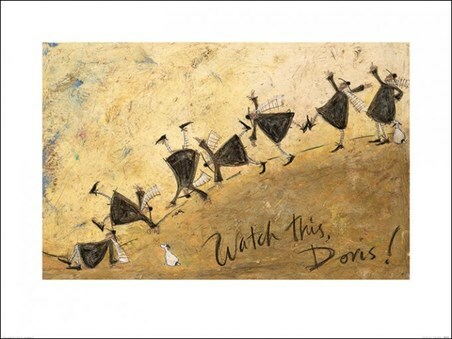 Doris the dog sits patiently on the hill as he watches his owner get giddy with excitement and embrace his childlike side. The warm, yet simple, colour scheme incorporates a sense of warmth and joy which is sure to make a stunning addition to any home. 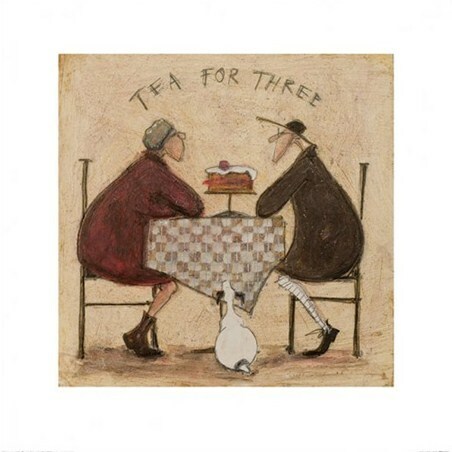 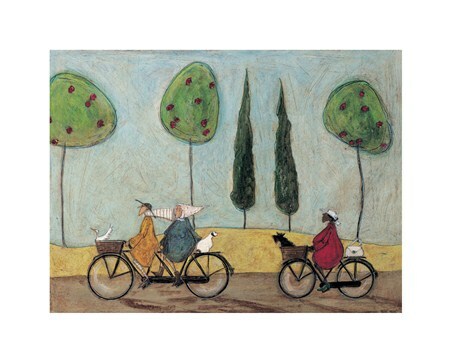 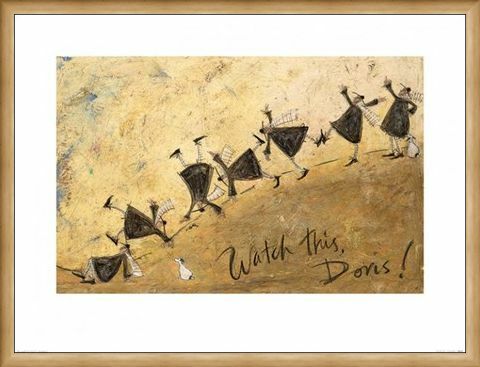 Sam Toft is a British illustrator who manages to capture heart-warming scenes in an individual and characterful way. Whether you are a fan of this talented artist, or are drawn in by this splendid piece, it is sure to look fantastic once displayed. 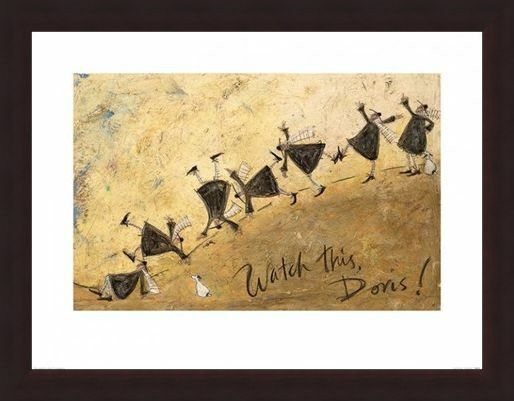 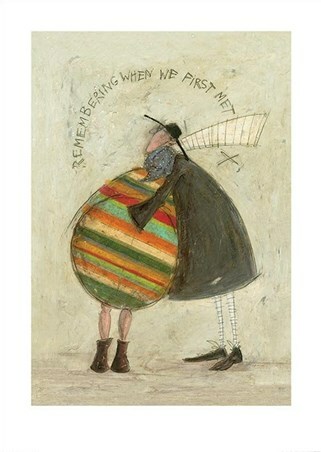 High quality, framed Watch This Doris!, Sam Toft print with a bespoke frame by our custom framing service.